Ecommerce: Good or Bad for the wet leisure industry? Golden Coast / News & Offers / Sales & Marketing / Blog / Ecommerce: Good or bad for the Wet Leisure Industry? This article looks at the world of the web. 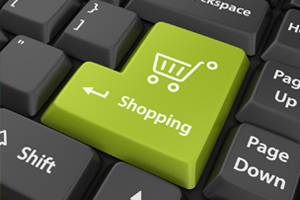 Is ecommerce good for the wet leisure industry, is it good for your pool business? Or is it taking customers away from traditional pool companies and spoiling the reputation of the industry? The world of the web. The internet feels as if it has been around forever and yet it arrived only yesterday. In the mid 90s ordinary people started to use email and some of the bigger companies were beginning to think that they might like to have a ‘website’, (Whatever that was?) Fifteen years later people order their milk and bread over the web, book their holidays and choose their pool supplier while sitting at their computer or using their smartphone. In the beginning, the web was seen as a wonderful world of possibilities. If your website was bold and brash and colourful your business couldn’t fail – even if that site was really nothing more than a brochure put on line. If you had someone’s email address you could bombard them with offers until they gave in and eventually bought something. The web let you win customers in Edinburgh, even if your business was based in Penzance. The web and the world. The internet is just a tool, and it’s a tool used by people who are exactly the same as they always have been. They can look at a brochure, but a brochure alone never closes a sale. They can be sent offers, but it’s only the deals that are appealing to them that are going to get taken up. They can compare companies across the whole world but they’ll probably feel more comfortable working with a company that is that bit closer to home. Where the web excels is in providing information. What pools are available, what sort of cost are they and, increasingly importantly, what do other people think of them? The ‘global village’ is on the web and people do like to ask what other people have to say as well as checking out the gossip. People use the web to search for information and they use it to compare products and services and so of course they also use it to compare prices. But does that mean that the cheapest price always gets the order? Well, that doesn’t always happen in the real world, does it? Customers are concerned with things like reputation, trust and service. Companies can put what they want on their own website and they can make claims or paint a picture of themselves that may be rather embellished. Increasingly people are looking for reviews from satisfied, or dissatisfied, customers of that company. The web isn’t like your TV or your paper. You don’t just watch it or read it, you can ask questions, and more and more of those questions are being answered by review sites and social network groups. There is a belief that web based companies can undercut their competitors because, perhaps, they have fewer overheads, or because they enjoy economies of scale or because, some think, they can cut corners and be unscrupulous, hidden behind the anonymity of a web address. The web reflects the world and not everyone in business is a ‘good guy’, but that doesn’t make the web a bad thing. It’s here to stay, so how do you work with the Internet? The only time people use a phone book today is when they can’t quite reach the top shelf. People look for things on the web. They look for your company and its contact details. Where you are and what you do. They look for information about goods and services that they might be interested in. They want to know stuff that is useful to them. If you provide that information, they will find you that way and feel good about you for answering their questions. They want to know what other people have to say. So if you have testimonials or reviews or a social network that is singing your praises that is going to influence them. When all is said and done, people still like to meet and talk to people that they can trust, that they feel they can get on with. If you’re well known in your area, if your staff are always friendly, if you obviously care that your customers are satisfied with what you have provided for them, then that word-of-mouth reputation is going to be a powerful asset to your business too.